15 July 2018: Introducing the May issue of Inspired, the V&A Brand Licensing newsletter. 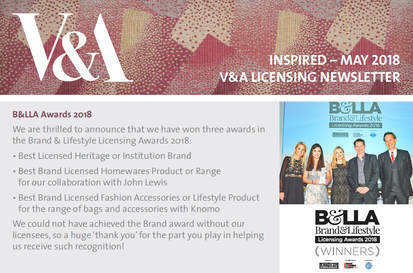 News includes the V&A winning three awards in the British Brand & Lifestyle Licensing Awards and new ranges from British licensees, British Ceramic Tile and Flair Rugs. Click the image to download. 10 July 2018: Total Licensing are accepting news and articles for submission review. Ad space reaching 84,000 readers in 105 countries also available. Breaking News! Total Licensing Chinese Edition will be produced for China Licensing Expo 2018! Gain additional advertising coverage in the Chinese-language edition for only an extra US$400. Save over 50% with our advertorial campaign. For example, 1 page A4 colour advert + 1 page editorial + 4 weeks top banner in Total Licensing Report e-mail newsletter. Usual value $4,050 on offer at US$1,850. Great opportunity to be seen at Brand Licensing Europe, MIPCOM and MIP Jr., China Licensing Expo, Germany Licensing Market and Hong Kong Licensing Show. ​ZenWorks will exhibit at Korea Character Licensing Fair 2018 as TOTAL LICENSING, taking place at the COEX exhibition centre in Gangnam, Seoul from Wednesday 18 to Friday 20 July 2018. TOTAL LICENSING is the premier business publication for the global licensing industry, and is an official media partner for the fair. Visit us at booth #B40-9 where we will showcase the full range of Total Licensing publications that fulfills the advertising and PR needs of Korea and Asian regional licensors, licensing agents and licensees. A Korean-language flyer can be downloaded here. ZenWorks will also introduce its licensing consulting services for Korean and international companies looking to develop their business in international markets. Please contact us by email to book an appointment. 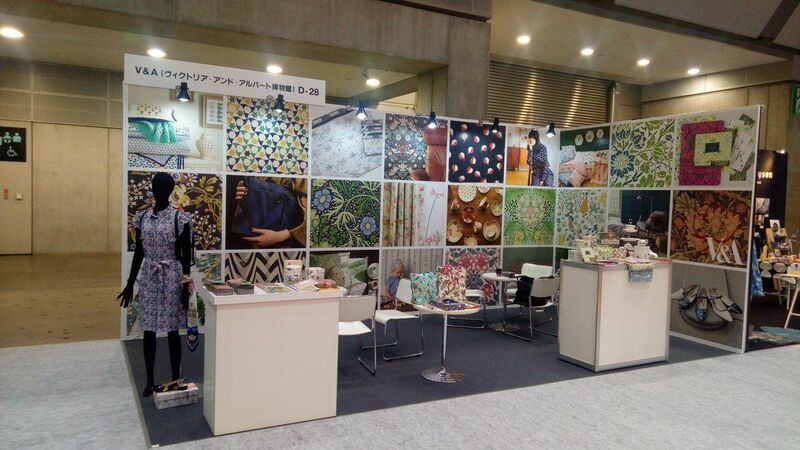 The V&A (Victoria & Albert Museum) booth at Licensing Expo Japan 2018, held from 25 to 27 April at Tokyo Big Sight and managed by the V&A with its Japanese licensing sales agents, Brandog and ZenWorks, received many visitors throughout the trade show. Despite strong rain early on day 1, we were able to attend to a constant stream of visitors interested in licensing the V&A brand and engage in substantive merchandising discussions. We thank everyone who came to visit our stand. For any companies who were unable to attend or meet with us, please send your licensing enquiries to either Pochi Kusama of Brandog or Roger Berman of ZenWorks. 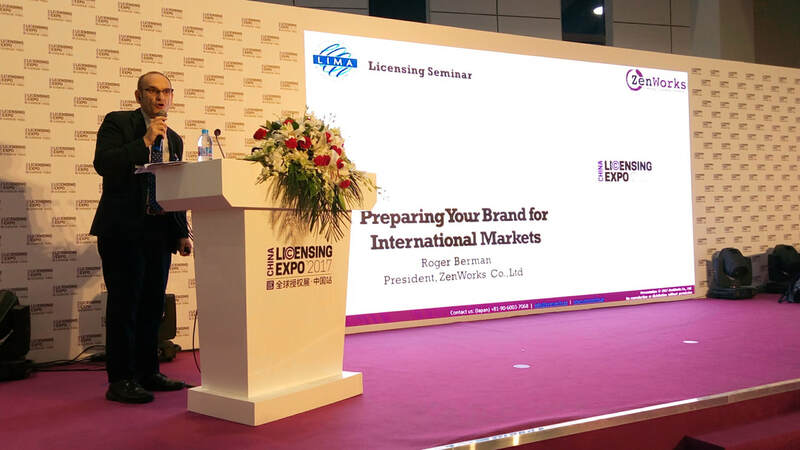 10 July 2018: Roger Berman, President of ZenWorks will be a seminar speaker at the China Licensing Conference during Licensing Expo China, in Shanghai from Tuesday 25 to Thursday 27 July. Further details below. Berman will also be available for consultation for companies considering international markets. Please contact us by email to book an appointment. Topic: "The Cost(?) Of Licensing" as part of the workshop "What You Need To Know About Licensing Royalties". Abstract: Berman will discuss how licensors and licensing agents set royalty rates, introduce other costs associated with a license and give pointers on negotiating royalty rates. 2 May 2018: Latest monthly column for CharaBiz.com available. The May 2018 Japanese language column on global licensing by ZenWorks company president, Roger Berman, is now available to CharaBiz members. The latest column is a report on April's MIPTV broadcast and digital contents market held in Cannes, France. CharaBiz.com membership details available here (Japanese-language only). 22 March 2018: The March 2018 issue of Inspired, the V&A Brand Licensing newsletter has been published. Featured licenses include crafting products from Trimcraft (UK), luxury lingerie from Coco de Mer (UK), a fashion collection from ethical clothing brand, People Tree (UK & Japan), and pewter decorative accessories from Royal Selangor (Malaysia). Click the image to download. 5 February 2018: Total Licensing Spring 2018 will carry a special feature on Japan. Please submit your Japan related news to Becky Ash, Editorial Director here by 22 February. Advertising enquiries to ZenWorks. 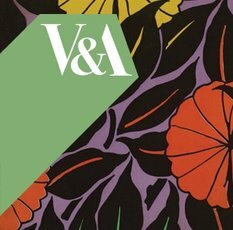 31 January 2018: V&A Licensing in Japan: Six Months and Beyond as Licensing Sales Agent. Following the debut of the V&A (Victoria and Albert Museum) brand by ZenWorks and Brandog at Licensing Expo Japan last year, discussions for new licenses have been proceeding smoothly. While details are yet to be fully divulged, new V&A inspired product ranges for clothing accessories and fitness-related products are expected to be launched this spring. Read the full press release here. 23 December 2017: The December issue of Inspired, the V&A Brand Licensing newsletter has been published. Featured licenses include gift cards from Caffè Nero, the UK coffee shop chain; sketch books and 2018 dairies from Papier, the UK stationer; and silk scarves from Rampley & Co., the British luxury accessory brand. Click the image to download. 21 December 2017: ZenWorks and UK-based Kilogrammedia have formed a public relations service partnership for the Asian market. ZenWork will offer Kilogrammedia's specialist PR services targeting the licensing and broadcast industries in Japan and Asia. Read the press release. 27 October 2017: Total Licensing/ZenWorks exhibited at Japan Contents Showcase (JCS) which closed yesterday. JCS had a record-breaking 371 exhibitors from 27 countries and regions, and 1,549 registered buyers from 48 countries, the highest-record to date. 1 October 2017: New Striking Animal Art from Baro Sarré. French illustrator, Baro Sarré has unveiled his latest wild animal designs. Baro draws his inspiration from the wall paintings of the South African Ndebele tribe women as well as Picasso and classic Egyptian and Roman art. ZenWorks is currently looking for licensees across a wide range of categories including home interior and fashion. More details on Baro Sarré here. ​15 July 2017:【Call for Editorial & Advertisers: TOTAL LICENSING & TOTAL BRAND LICENSING Autumn 2017 edition】Total Licensing & Total Brand Licensing Autumn 2017 are accepting articles for submission review. Ad space reaching 84,000 readers in 105 countries also available. Save over 50% with our advertorial campaign. For example 1 page A4 colour advert + 1 page editorial + 4 weeks top banner in Total Licensing Report e-mail newsletter. Usual value $4,050 on offer at US$1,850. ​Great opportunity to be seen at Brand Licensing Europe, MIPCOM and MIP Jr., China Licensing Expo, Japan Contents Showcase (Ikebukuro, Tokyo), Germany Licensing Market and Hong Kong Licensing Show. 【Booth Availability at BLE】1 July 2017​ 92% of the available booth space at Brand Licensing Europe 2017 (10-12 October; London) is now sold out. Every year, BLE features many companies showcasing Japanese content. Need to learn more about the merits of exhibiting? Visit this page for the answers! Details on BLE here. Companies considering exhibiting are encouraged to contact ZenWorks as quickly as possible. ​ZenWorks will exhibit at Korea Character Licensing Fair 2017 as TOTAL LICENSING, taking place at the COEX exhibition centre in Gangnam, Seoul from Wednesday 12 to Friday 14 July 2017. TOTAL LICENSING is the premier business publication for the global licensing industry, and is an official media partner for the fair. Visit us at booth #C21-09 where we will showcase the full range of Total Licensing publications that fulfill the advertising and PR needs of Korea and Asian regional licensors, licensing agents and licensees. A Korean-language flyer can be downloaded here. 9 July 2017: Roger Berman, President of ZenWorks will be a seminar speaker at Licensing Expo China, taking place in Shanghai from Tuesday 18 to Thursday 20 July. Further details below. Berman will also be available for consultation for companies considering international markets. Please contact us by email to book an appointment. Last year, licensed content was showcased in a dedicated licensing zone as part of CBME China, the world's largest trade fair for baby, children and maternity products. Photos from last year's event can be viewed here. Topic: "Preparing Your Brand for International Markets" as part of the workshop "How do Licensors Choose for International Markets". Abstract: When developing brands for international market, IP owners need to consider many factors. Berman will examine the issue, flagging important points that licensors need to take into account. He will also give hands-on advice about ways to enter new markets and what preparations should be made. ​【Book your meeting at Licensing Japan】20 June 2017 ZenWorks will exhibit at Licensing Japan as Total Licensing, taking place at Tokyo Big Sight from Wednesday 28 to Friday 30 June 2017. 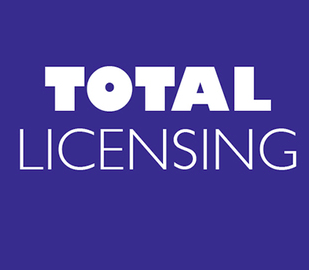 Total Licensing is the premier business publication for the global licensing industry. Visit us at booth #28-15 in East Hall 6, where we will showcase the full range of Total Licensing publications that can fulfill the advertising and PR needs of Japanese and Asian regional licensors, licensing agents and licensees. ZenWorks will also introduce its licensing consulting services for companies looking to develop their business in Japan and East Asia, as well as for Japanese companies seeing to enter international markets. More information here. 1 May 2017​ Thank you for visiting ZenWorks’ booth at Licensing Expo Japan (26 to 28 April, Tokyo Big Sight). It was great seeing licensing friends - old and new. It was a very busy show over the three days and we received a substantive number of quality business enquiries across our brands including the Victoria & Albert Museum, Slazenger, Title and Aspen. From that point-of-view, the show was a great success, despite the challenge of being a first-time trade event in Japan. We will follow up on all enquiries after the Golden Week holiday. If you have interest in our brands, you can check them out here. If you have license consulting needs, don’t hesitate to contact us via the contact form here. 【Appointment as Japan Sales Agent for Victoria and Albert Museum Licensing】 21 April 2017​ V&A Enterprises Limited has appointed ZenWorks and Brandog as its exclusive sales agents to develop new licensing opportunities for the Victoria and Albert Museum (V&A) in Japan. We will showcase the world's leading museum of art, design and performance to potential licensees at the upcoming Licensing Expo Japan in Tokyo (26 to 28 April) at ZenWork’s booth C-40. Read the full press release here. 【Book your meeting at Licensing Expo Japan】2 April 2017​ ZenWorks will exhibit at Licensing Expo Japan taking place from Wednesday 26 to Friday 28 April at Tokyo Big Sight. We look forward to welcoming you to our stand C-40 where we will showcase our brands. Details and meeting booking here. 28 March 2017 Total Licensing Summer 2017, to be published in May, will contain its annual Japan Feature. The editors are looking for for Japan-related news and articles. Take this opportunity to feature your characters and brands for free! For details in English, contact us. NB: Placement is not guaranteed and, according to editorial policy, your submissions may be rejected without reason.